Christmas is in just a couple days and while I'm still not completely ready, I did get some fun handmade projects done in the last week. 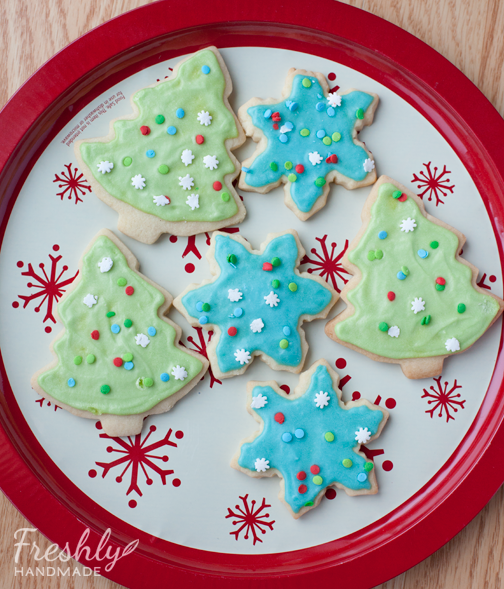 As promised to my kids, we made our traditional holiday cut-out cookies. It's always fun to have the kids help roll out the dough and sprinkle on the decorations. These are my favorite cookies and over the years, I've honed my recipe for the cookies and the frosting to be just what I like. You can find the recipe here. 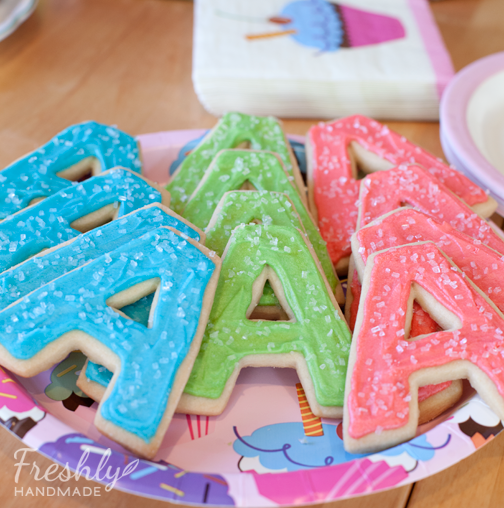 While I was already making cut-outs for Christmas, I also made these cute "A" cookies for my niece's 1st birthday party which we celebrated this past weekend. 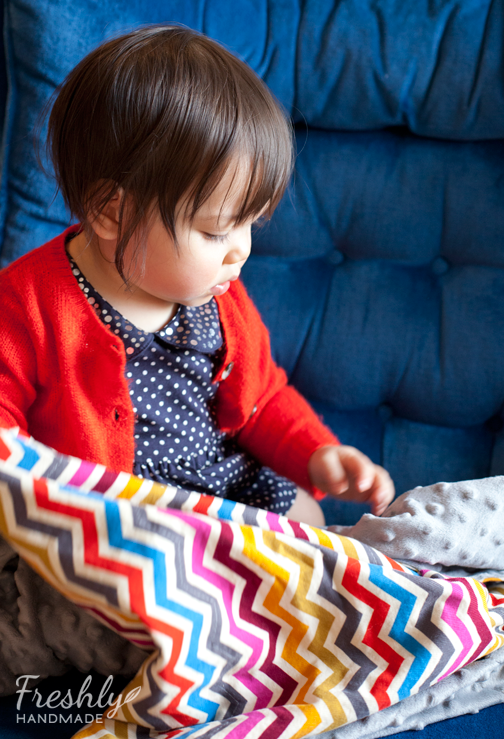 And for the birthday girl, I made her a new blankie using the same method that I show in my lightweight baby blanket tutorial. I used mini corduroy on one side and bumpy minky on the other. 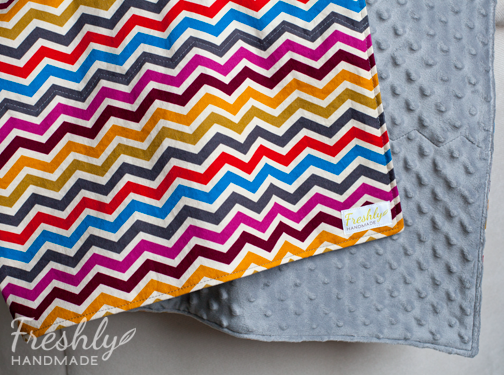 Both sides have softness and texture which little ones like at her age. I think little "A" will like it. With less than 24 hours before we travel again for Christmas, I'm still scrambling to get a few things done. That includes this scarf for my dad that I think I've been working on for a good three years. It was supposed to be a gift for him last Christmas, but I ran out of time. So, I am hoping that along with his quilt, I can finally give him this scarf as well. The biscuits look awesome! You've reminded me I must keep an eye out for a set of Christmas shapes for myself. 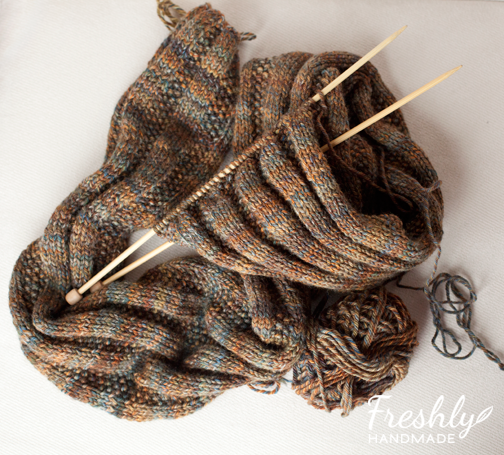 Good luck finishing the scarf, have a wonderful Christmas and New Year!